Russian Car Driver is a realistic driving simulator game where you are a driver who just randomly happens to be from Russia. 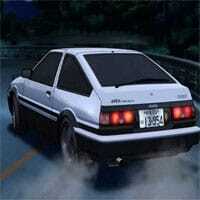 The game features realistic 3D graphics and is one of the most beautiful driving game in the browser. The game also features various game modes. Russian Car Driver Game modes are: Freeride Mode, Drag Racing, Drifting, Parking, Rally, and Racing Mode. Finish all levels on every mode to complete the game and get the 100% completion rating! Park your car accurately, practice drifting, and try racing against others in this realistic driving simulation – Russian Car Driver! Try your best on all game modes and become the best Russian driver! Russian Car Driver Game is one of our Driving Games at Round Games. It is also tagged as a car and drifting game. To play even more free games, view our most played and all games pages. If you want to play more games like this game: Then you can simply check out the games inside the game tags that are the most relevant to your interests or check the Driving Games category or check the related games section at the end of the game page. Also make sure to check out Russian Extreme Offroad Game, you may enjoy playing it.